Julia Louis-Dreyfus is back at work on “Veep” and says it feels “fantastic.” The star of the HBO comedy series revealed last September that she had been diagnosed with breast cancer. 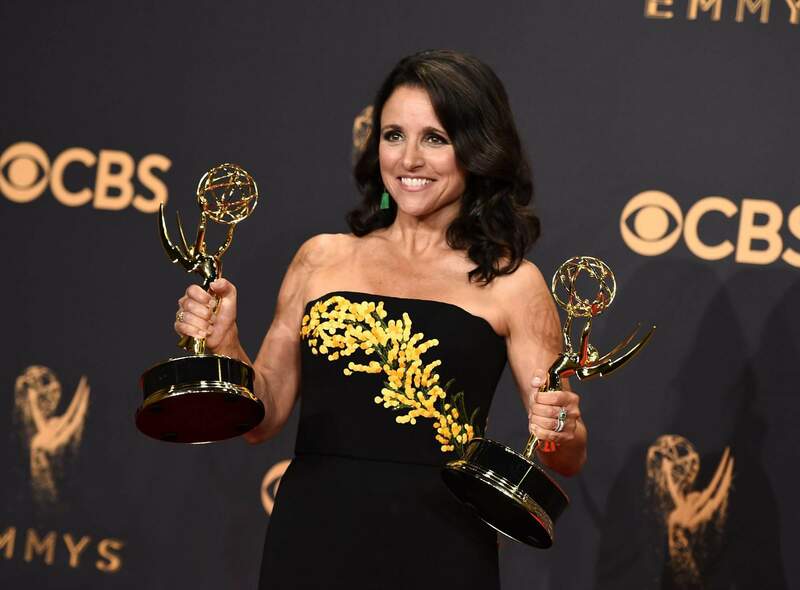 The news came soon after her sixth consecutive Emmy win for the role of Selina Meyer. The “Seinfeld” alum has signed on to her first cancer-awareness initiative, helping Carolina Herrera designer Wes Gordon design a flower-adorned T-shirt as part of Saks Fifth Avenue’s 20th year raising money through its Key to the Cure program. Julia Louis-Dreyfus wears a flower-adorned T-shirt as part of Saks Fifth Avenue’s 20th year raising money through its Key to the Cure program. The limited edition shirt will sell for $35 at Saks stores Oct. 1-31, with 100 percent of proceeds going to the AiRS Foundation, a nonprofit Louis-Dreyfus supports for its work in helping women with the costs of breast reconstruction after mastectomy. Over 20 years, Key to the Cure has donated nearly $40 million to cancer research and treatment organizations. “It was a super-fun endeavor,” Louis-Dreyfus said of the T-shirt design process. She has often worn Herrera designs on red carpets. The shirt features blooms in jewel-tone red and pink.